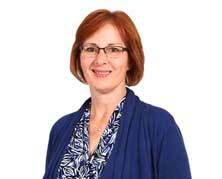 Jennifer attended the University of Alberta and completed her Bachelor of Arts degree in Psychology in 1984. She worked for a 3 years with the inpatient psychiatric division and then relocated to Ontario where she began individual, couple, family and group counselling under the mentorship of clinical social workers. In 2009 she completed a Master’s in Counselling building on her many years of counselling experience. This industry experience prior to graduate school enabled Jennifer to direct her training to focus on the areas she felt were most needed: adults, couples, groups, mood disorders, trauma, grief, health psychology, pain and career counselling. After completing Graduate School she became a registered psychologist in 2012. Life experiences have certainly enriched her counselling as she has gained perspective that only life teaches resulting in a fuller understanding and compassion of life struggles and the problems we face as people.